Elon Musk has led a colorful life. He created and runs the Tesla Corporation, is the producer of one of the most exotic sports cars in the world, was married to two supermodels and builds spaceships for private citizens. The gutsy inventor is rivaling fictional character Tony Stark (also known as Marvel’s Iron Man). Elon Musk’s latest endeavor is an energy device that can change the way consumers’ and businesses acquire electricity. Musk’s newest invention, which Tesla has slated for release in 2015, is the Tesla Powerwall Home Battery. The device is an alternative home energy power station. It also functions as an emergency backup generator. It is a stationary unit that mounts to the wall of a garage or utility area. The Powerwall has several interesting features including its solar cell integration capability. The Powerwall charges during off-peak hours when electric companies charge less for energy. When peak hours begin, the device takes over and provides power allowing property owners to bypass the higher rate. It also serves as a backup generator. If there is a power outage, the device provides power automatically. If a property owner has solar power installed, the Powerwall stores any excess energy. The unit comes in two configurations. One setup serves as a backup unit, and the other unit provides power during peak hours. . It looks like Musk has another hit. In early 2015, the first run of the device sold out in a week–through 2016– before the Tesla Corporation had even finished building their factory. Most reservations are for residences, but a good number of preorders are for commercial properties. 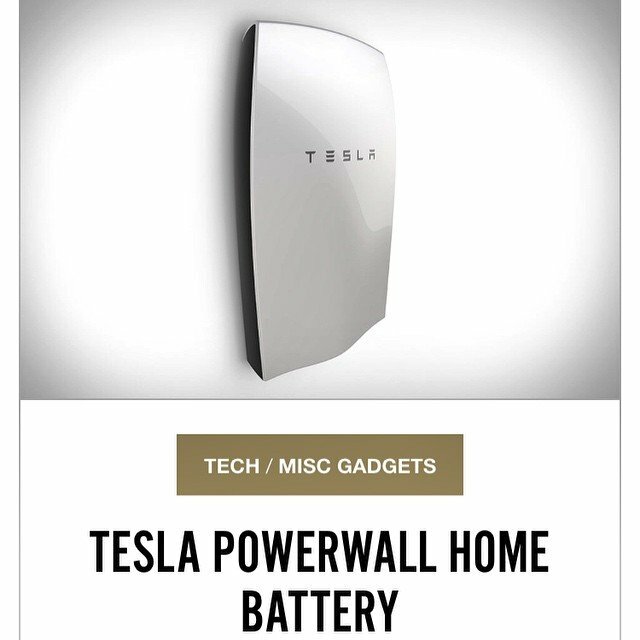 The Powerwall costs $3000 to $3,500. The lithium-ion battery devices are the ideal solution for areas, such as Florida, that have made it illegal to occupy a structure that is not connected to the city electrical grid. It may even open up solar-powered energy for these areas.